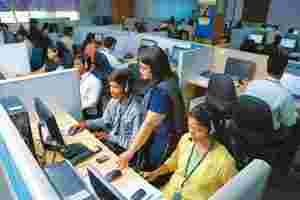 Mumbai: Two weeks ago, AGL Resources Inc., an Atlanta, US-based natural gas distribution company, decided to shift its call centre operations from India to the US. The centre was operated by India’s third largest information technology (IT) services company, Wipro Ltd. Along with similar instances of Delta Airlines Inc., United Airlines Inc. and Chrysler Group Llc reported earlier in the year, this could raise a flag for Indian business process outsourcing (BPO) firms which earned nearly $15 billion (Rs69,450 crore today) from such back-office work in the year to March. In April, Delta Airlines decided to pull out its call centre operations in India with Wipro and take it back to the US. In March, auto maker Chrysler decided to move its call centre operations from India to Michigan and Utah in the US. In February, United Airlines decided to shift its call centre operations from India to Chicago and Honolulu. “Given the current state of the US economy, now is the right time to invest in our country and create new jobs," noted Hank Linginfelter, executive vice-president, utility operations, at AGL Resources in response to an email from Mint. AGL said that were no consumer satisfaction issues. “Wipro employees have provided excellent service to our customers, but we believe our company’s best long-term strategy for the future is to provide jobs here." AGL’s decision to establish its new centre in Georgia will create approximately 75 news jobs locally. The customer care centre, expected to be operational by 1 June, will be AGL’s second such centre in the US. A third one will be set up in New Jersey in December. Interestingly, industry body Nasscom’s report, Perspectives 2020, identifies the US Midwest, which includes states such as Michigan, as a viable alternative to Indian companies as it offers a “low-cost, high-quality talent pool". This, according to Nasscom, is particularly true for “interaction-intensive" and “culturally sensitive" services, both of which apply to call centre operations. AGL does acknowledge that by shifting it’s call centre operations to India in 2007 the company has achieved cost savings, which enabled it “to invest in the modernization and improvement of many customer service functions and activities", according to Linginfelter. United Airlines, when it shifted its operations from India, had hinted at customer satisfaction issues. “More sophisticated conversations with our guests are much better suited for us to handle instead of a third-party partner," spokesperson Robin Urbanski was cited as saying by Bloomberg in a 10 February report. United’s call centre operations in India had employed as many as 165 workers. In an April 19 report, PTI news agency quoted a Delta Airlines spokesperson as saying that the carrier had hired about 4,500 call centre workers in the US after it ended its back-office operations in India. Delta had outsourced it’s call centres to India in 2002. “When Delta merged with KLM, they decided to take some aspects of outsourced work and do it in-house," says Ashutosh Vaidya, senior vice-president at Wipro and the head of the company’s BPO arm. On a headcount basis, Delta and AGL pulling out their call centres had an impact on less than 500 staff, according to Vaidya. “Some of these companies may have specific reasons for deciding to shift their call centres, but for us it is business as usual," says Vaidya, who did not think there was any cause for concern. Analysts say that while some of these incidents may be triggered by legislative requirements in the US, others could be linked to consumer dissatisfaction. “Some corporations may be under pressure to create local jobs because of legislation present in the US or some may be under obligations because they have taken grants from the state authorities," says Arup Roy, senior analyst with the Indian arm of technology researcher Gartner Inc. Some US states have legislation that requires public utility companies such as electricity and gas distributors to locate their customer call centres within the service area. New York amended existing legislation in March to include such a provision. Mint could not immediately ascertain how many other states had similar legislation. Gartner’s Roy, however, does not think that the trend of US companies taking call centres back to their country is a significant enough one to set off alarm bells. “Despite all the training, there is a limit to how much a person can assimilate the culture and understand systems and processes in a country where he has never lived or worked," said Abhijeet Ranade, associate director, technology advisory services, at consultancy PricewaterhouseCoopers, referring to dissatisfaction experienced by US customers when interacting with call centre staff in India. “With the economy going through a downturn, there is increasing willingness among corporations to take customers more seriously and combined with the sense of responsibility to create local jobs, this could explain some of the shifts in call centres we have seen," says Ranade. Explaining it’s rationale for shifting it’s call centre back to the US, auto maker Chrysler’s director of customer satisfaction, Paul Alcala, noted in an internal memo in March (published on the firm’s official blog): “In these difficult times, we all must view each customer as a ‘keeper’ and we want to make sure we are supporting you in the best possible way to achieve our common goal of returning to profitability."